Killer Characters: Neewollah Festival. . .that time of the year + Giveaway! 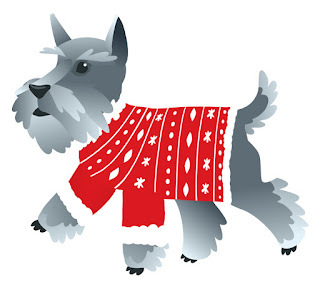 Neewollah Festival. . .that time of the year + Giveaway! GIVEAWAY IS OVER AND WINNER HAS BEEN NOTIFIED AND PRIZE SENT. Welcome back to the Bean Hive Coffeehouse. I'm delighted you're here. I'm Roxanne Bloom, but you can call me Roxy. All my friends call me Roxy. That's my adopted fur baby, Pepper. He's been such good company to me, but everyone is driving me nuts about when me and Patrick are going to get married. There never seems to be a good time to plan. I own the coffeehouse and he's the president of Cane Construction. I've got my hands full with the Neewollah Festival. 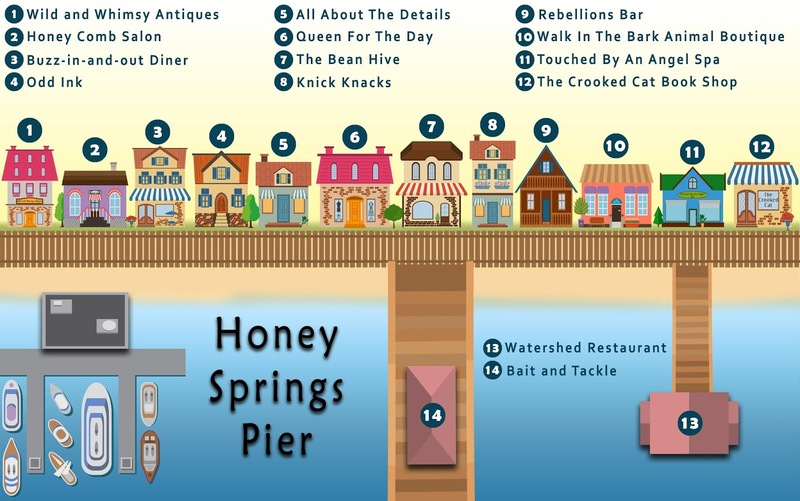 It's a fun three day festival that takes place along the boardwalk and the beach on Lake Honey Springs in front of the Cocoon Inn. My new salted caramel coffee blend is going to be the rave of the festival along with my hand pies that are made to perfection with the help of local ingredients like seasonal fruit I purchase from the Hill's Orchard and the fresh honey from the Bee Farm located on the island across from the boardwalk. Speaking of the Bee Farm, Patrick informed me that the bees are in trouble. They are dying out, putting the Bee Farm in danger of closing. 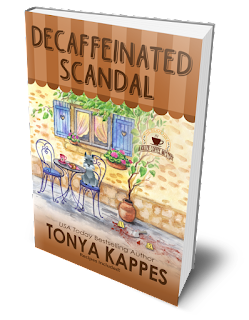 He didn't tell me about big land developer gossip going around the coffehouse and Honey Springs. Apparently, this land developer wants to build one of those fancy gold course resorts on the island. I'd also heard Camey Montgomery, the owner of the Cocoon Inn~Honey Springs only hotel, is beside herself and trying to do everything in her power to stop the developers. . .everything shy of killing someone. Anyways, it was nice chatting with you. 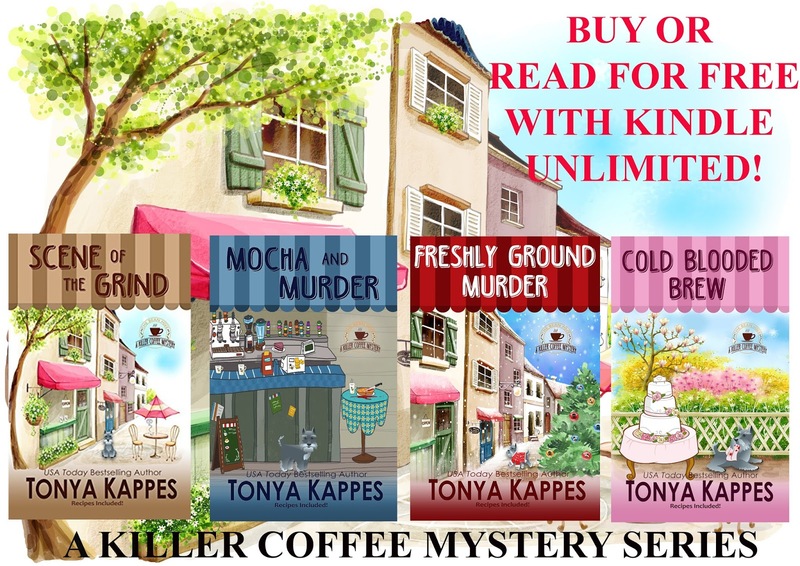 I've got to head on over to see Babette at All About The Details. She's got my bride and groom costume Patrick and I are going to wear to the costume party on the beach for the festival. Or is there something else behind those costumes? I can't tell you what's up my sleeve, but I'll definitely keep you posted over coffee. 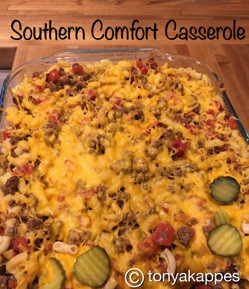 I've got to get my special SOUTHERN COMFORT CASSEROLE in the oven. Scroll down to grab the recipe. It's perfect for fall nights. 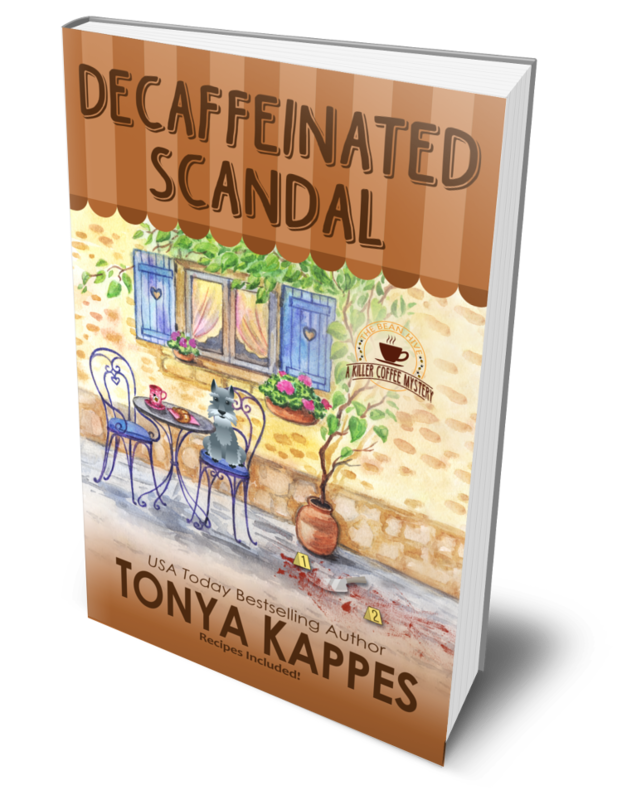 Preorder your copy of DECAFFEINATED SCANDAL, Book 5 in the bestselling KILLER COFFEE MYSTERY SERIES. Plus there are a ton of southern recipes. 2. Spray Pam in a casserole dish. Dish depends on how much you make. This recipe is for a standard casserole dish. 3. Bring two cups of water to a boil and make elbow noodles. 4. While the noodles are boiling, add the olive oil to a skillet and sauté the onions and garlic over medium heat for about three minutes. 5. Add the ground beef to the skillet with the onion and garlic mix. 6. Once the beef has browned, add in all the cans and simmer until the mixture thickens up. 7. Drain the macaroni once it’s soft and dump it into the casserole dish. 8. Once the beef mixture thickens up, add it to the casserole dish and mix in with the macaroni. 9. Add the cheese on top and put in the oven for about 15 minutes or cheese melts. There is a blueberry festival in a town not far from here that is so much fun! It takes place in a huge park, which is nice for the kids. There are so many craft vendors, musicians, and of course every type of blueberry food imaginable! Thank you for the recipe and the giveaway. Most festivals I go to are music (folk, jazz, blues - not that any of those festivals stick to the genre) but this weekend I'm going to Ribfest - yum! 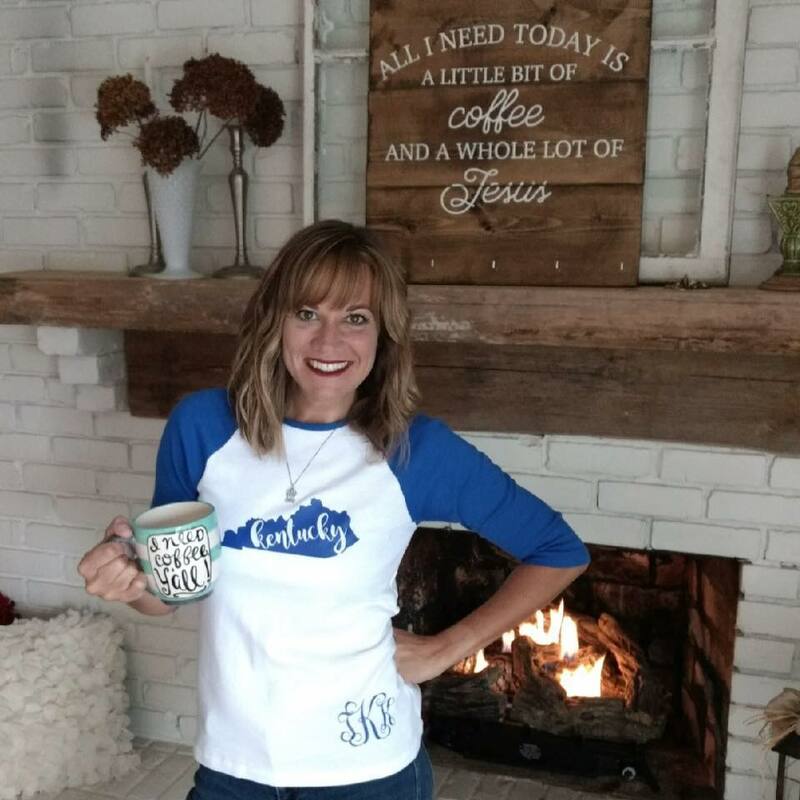 I go to the fall festival and craft show in our town. Love the crafts. This recipe sounds good will have to try it. My mind is a blank about festivals. Oh, well. Guess I'll just read about one! The festival is called Taste of Polonia it's held over Labor Day weekend. The festival has different polish foods & regular foods too & it has rides & entertainment & this year my 5 year old grandson performed with his dance class. Thanks for this amazingly generous giveaway. Our big event is called Bacon Bash. Everything bacon. Bacon donuts, bacon candles, pig wings on a stick, bacon pizza. Flying pigs too! Duck races down the Kinnickinnic river. Music, food, vendors selling crafts and goodies. Kiddie parade, people dressing up in pig costumes. Fun for all! We always went to our church festival in June but that isn't held anymore so we are trying some new ones in our area. There are peach, blueberry, strawberry and apple! They are always a great time! I love the Metro DC Cooking Festival. Lots of food, kitchen and home items and book signings! lkleback at hotmail.com. I love the fall festivals around town. There are lots of corn mazes, hay rides and fun for the kids! I have enjoyed the Loose Caboose art and stroll in our small town's renovated town square. Relaxing, entertaining and with a variety of foods to sample. I enjoy the Chinese New Year celebration. There are a lot of festivals in our area. I really like going to the Renaissance Festival in Bristol WI. There is so much to do and see and a lot of great food. We got a shad fest most years. It’s mostly a big street fair but you can get all kinds of dishes made with shad. I went to a UFO festival for the first time this year. It was such fun & I hope to go every year. I enjoy going to the Heritage Day Festival in Edmonton, AB. Held in a lovely park in the river valley. Every year the 3 day event showcases the wonderful diversity of cultures we have here. With close to 100 countries/nationalities represented, you can sample the cuisines, watch traditional folk performances and dances, and even purchase some traditional gifts. The one thing you are guaranteed to come away with is an overstuffed tummy and sore feet! I like going to our neighborhood festival. Lots of food, crafts, and music. Before they closed the nearby Ford plant they would show many of the cars built over the yeears, including a Model T.
I have been going to the Pumpkin Festival at Half Moon Bay, CA for 25 years now. Love it. And also in July to the Garlic Festival in Gilroy, CA. We even have garlic ice cream. Hey, don't knock it till you tried it. Thanks for a chance to win. In spring my town has a Carnival of Flowers. The whole town is literally blooming. The town is full of visitors from all over the world for a week or so. I love most festivals - they are a lot of fun. We have plenty of yearly festivals- craft , book, heritage & cultural. I love going to Mount Gretna for the arts festival every summer. Congratulations !!! You won!!! Please check your email for your copies. There used to be a Spring art festival in the park that I really enjoyed going to but it has been cancelled in recent years. There are other festivals, such as seafood festivals, but I never make it to them. I should. Thank you for the giveaway.